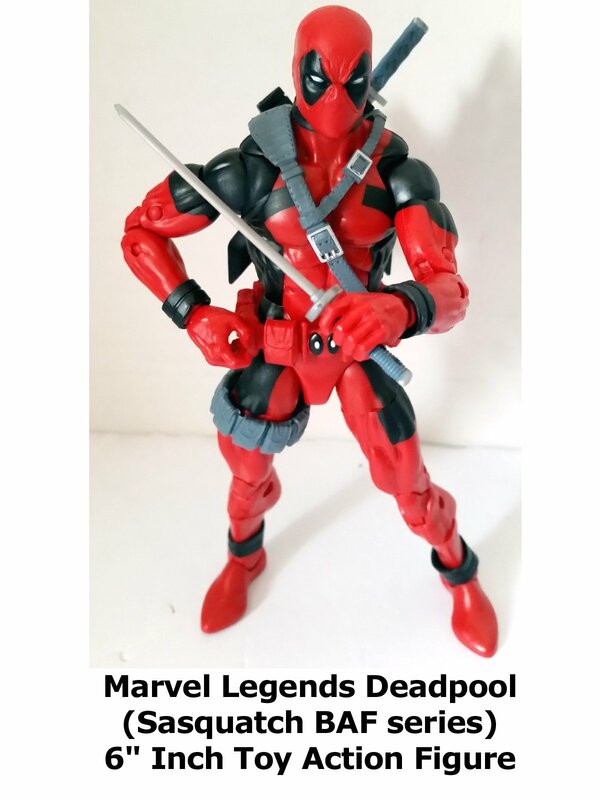 Marvel Legends 6" inch Deadpool action figure toy. (Part of the Sasquatch build a figure BAF wave.) This is Deadpool based on the art of Rob Liefeld who created the character. It is well sculpted, highly detailed and very articulated. But it could use more accessories. One of the best Deadpool action figures that Hasbro has made, highly recommended.